The younger Tedesco brother, Danny, is not known for his success with the ladies. It could have something to do with his perpetually broke-down car (his dates always have to drive), his constant lack of funds (his dates always pay for dinner and entertainment), or his questionable sense of fashion (his only decent suit is made of denim). Fortunately for Danny, his most recent girlfriend is not at all put off by her new beau’s style choices. 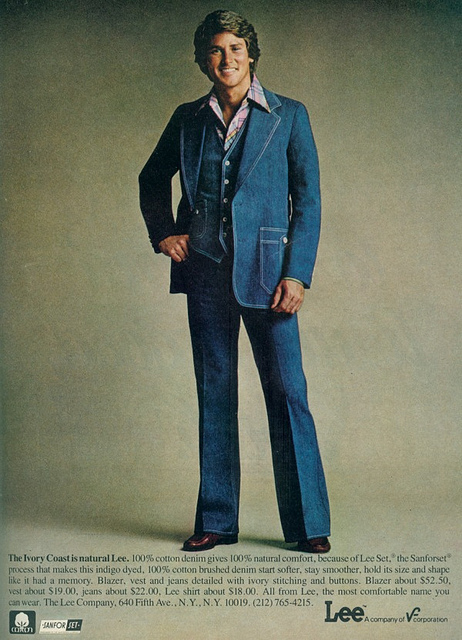 Known as the Canadian tuxedo or the Texan tux, Danny’s suit, manufactured by Lee, comes with a lovely matching vest. No doubt Grandma Josephine Tedesco bought the ensemble for him, but whether or not she remembers doing so is another matter. Keep in mind that a denim jacket (also known as a jean jacket) is a different animal altogether. Denim jackets are a stylish staple in casual wardrobes and enjoy varying degrees of popularity throughout the decades. It’s also commonly worn by those in a more rugged line of work (think cowboys and roughnecks). 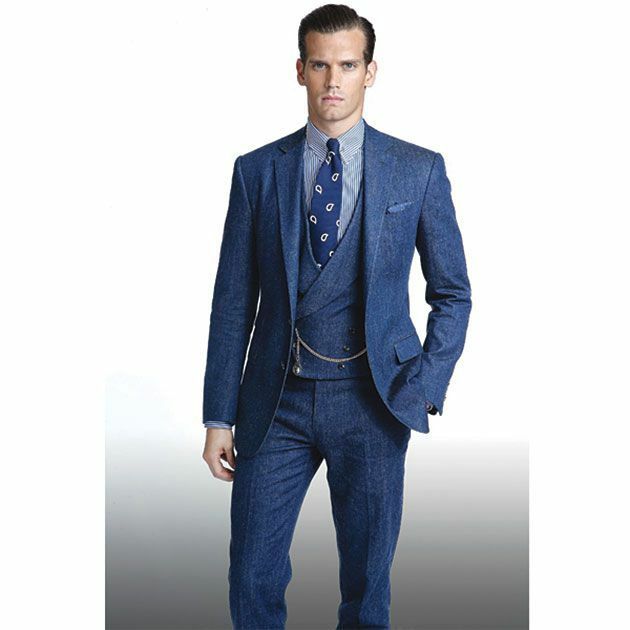 But when it comes to tailored suits, denim is rarely if ever well received. 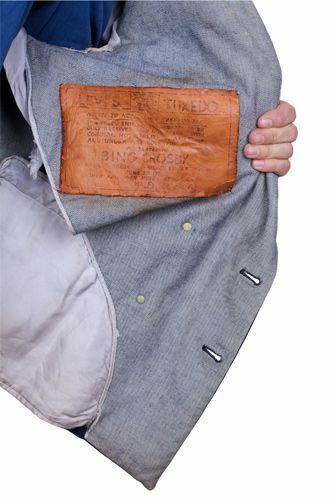 The jacket, presented to Crosby at the 1951 Silver State Stampede in Elko, Nevada, contained a leather label on the inside bearing a “Notice to all Hotel Men” stating that denim was acceptable to wear on any occasion. At least Danny is in good company. 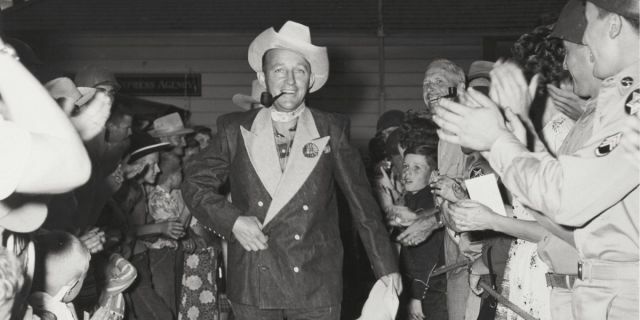 Bing’s suit now lives in the Northeastern Nevada Museum in Elko. 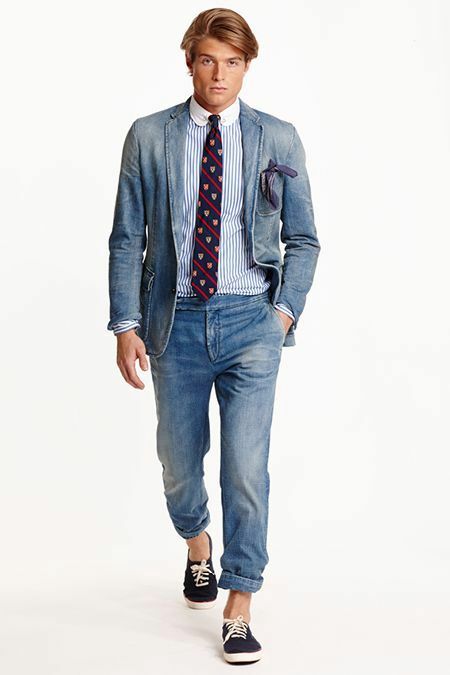 In 2015, Ralph Lauren took a stab at the denim suit with a hipster and Wall Street version. In my humble opinion, both look like something a demented college student would try to pull off as good fashion sense. I have no doubt CEOs avoided these two suits like the plague they are. 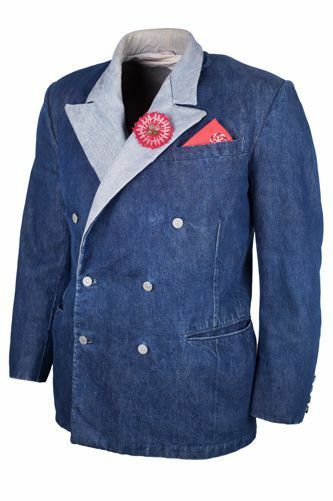 If these denim suits don’t float your boat, you can always opt for one of the two hundred, limited run reproductions of Bing’s jacket that originally went for $1,800.00. I’m sure eBay is stocked with these little goodies. The word “Dapper” comes to mind. Wait…no it doesn’t. Denim jackets, for ladies, are back in vogue as we speak. Still I cannot bring myself to break down and invest in one. Maybe i’ll shoot for camouflage or hounds tooth tweed. Hummmmmmm…let me think. As a child of the ’80s, I grew up in an era when jean jackets were all the rage. Unfortunately, even though I had a wardrobe to die for, I didn’t own one. Flash forward to me as a young married woman and the super awesome jean jacket made by Bugle Boy that my husband brought to the marriage. I quickly assumed ownership of said jacket, draped a gorgeous, diaphanous scarf around the collar, and tacked up the lapels with pins. The nineties never knew what hit them as this child of the ’80s wore that jacket until a seam ripped out! I looked positively elfin in that over-sized jacket and received many compliments. I am jean with envy! Thank you for the sartorial cautionary tale! LOL – that was punny!